Ritual water purification is a fundamental prescription of Judaism. At the mikveh, women submerged in living water and thus they recovered the vital harmony of body and mind. 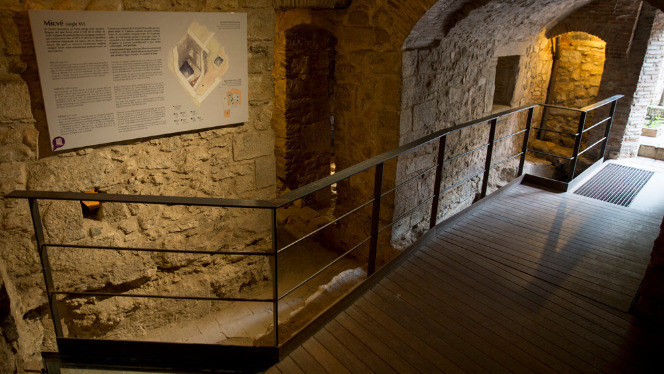 These archaeological remains preserve the aura of Jewish culture and history, which covers us and define us. We invite you to discover a historical heritage that has an insistent and eternal presence. Just like that of water.